Thank you for your support during this difficult time. Please enhance this tribute to Zachary Allen Platia by adding your memories and photos. Zachary Allen Platia, age 25, of North Royalton, Ohio; loving son of Christy and Ken Ward, and Charlie Platia; dear brother of Hunter and Taylor Ward, and Charlie and Melania Platia; beloved grandson of Cheryl Sherrick, Bob Sherrick, and Charles and Marylou Platia; nephew, cousin and friend of many. Zachary was a 2012 graduate of North Royalton High School. He was a rabid Cleveland Browns supporter, and a New York Yankees fan. 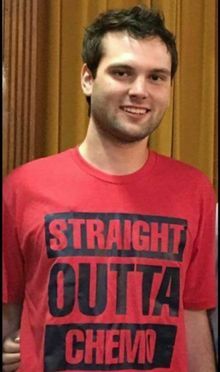 He really enjoyed MMA events and playing video games, he had an extensive sneaker collection, and he treasured the companionship of his dog "Slate." Zachary passed away suddenly on Thursday, February 14, 2019. Although flowers are appreciated, please consider a memorial contribution to the Cleveland Animal Protective League, 1729 Willey Avenue, Cleveland, Ohio 44113, or visit www.clevelandapl.org. The family will receive friends at the BUSCH FUNERAL HOME, 7501 Ridge Road, Parma, from 1:00 P.M. to 4:00 P.M. and from 6:00 P.M. to 9:00 P.M. on Tuesday, February 19, 2019. Funeral service at the funeral home on Wednesday, February 20, 2019 at 12:00 Noon. Reception to follow at the Sip-N-Post, 5581 Wallings Road (at State Road), North Royalton. Cremation by Busch Crematory.